Virgil van Dijk celebrated his 50th game for Liverpool by achieving one of his favourite things: a clean sheet. The Netherlands captain reached the appearance landmark last weekend, a little over a year after completing his move to the Reds from Southampton. And what an impressive run it has been for Van Dijk on a personal level, the Liverpool defence as a unit, and Jürgen Klopp’s team as a collective. The No.4’s influence on the side is plain to see – but digging into the numbers behind his half-century paints an even more telling picture of his impact at Anfield so far. Saturday’s shutout at Brighton and Hove Albion was the 24th recorded by the Reds with Van Dijk in the team, meaning the Dutchman’s ratio since joining the club is almost one in two. Surprisingly, it didn’t quite start that way for the towering defender. 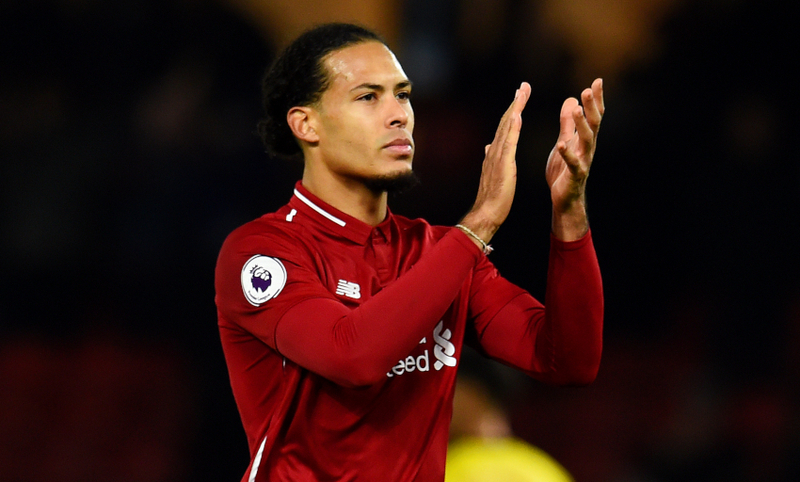 While Van Dijk began his Liverpool career in fairy tale fashion with a winner at the Kop end in a Merseyside derby, he had to wait until his fifth game to chalk up a clean sheet – against his former club, Saints. But, since then, they have become second nature, particularly in the current season, when there have been 13 in 22 Premier League fixtures to date to help the Reds control top spot. “I love clean sheets,” he remarked earlier this term. You can tell. Liverpool’s formidable defensive platform – just 10 goals conceded in the Premier League so far this season – has been pivotal to a significantly higher win rate in 2018-19. Klopp’s men have been victorious 18 times in 22 league matches, with Van Dijk involved for all but 35 minutes of the campaign, providing a reliable presence as injuries have affected several of his defensive colleagues. Overall, the No.4 has won 33 of his 50 Reds outings in all competitions – including a dozen Champions League appearances – with seven draws and 10 defeats. 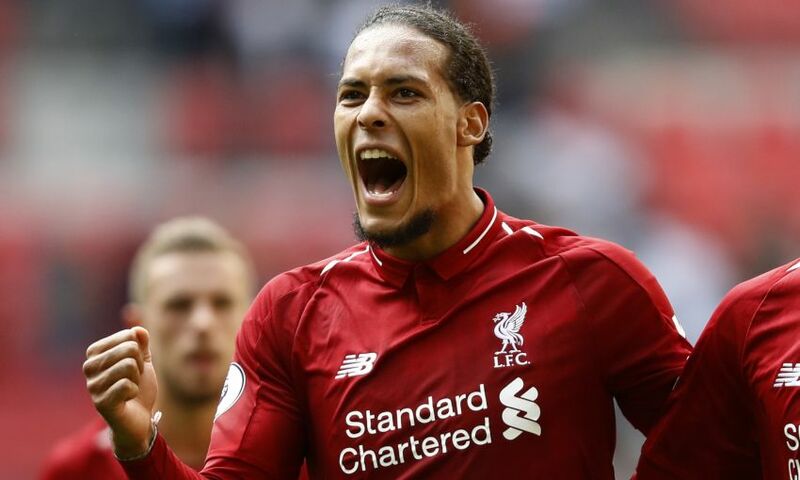 No outfield Liverpool player can better Van Dijk’s success percentage in duels in his 50 games so far, the 27-year-old having won 71.69 per cent of the 445 he has contested. In the same period, he also leads the team for clearances (272), interceptions (59) and blocks (21). “He has outstanding potential,” said Klopp last week. “He is a fantastic person, he is physically strong and has all the technical things you need as a centre-half. The Reds’ tendency to command the largest share of possession in the majority of their games means Van Dijk sees plenty of the ball each time he features. Indeed, in the period of his first 50 appearances, no Liverpool player attempted more passes than his 3,643 – of which 88.64 per cent were accurate. Just last Saturday at Brighton, for example, he clocked up 131 passes to keep the league leaders on the front foot in the search for – and, later, defence of – the decisive strike from Mohamed Salah. Klopp’s side established the club’s second-longest run ever without conceding a league goal at Anfield during 2018. There were 918 minutes between the respective consolation efforts from Michail Antonio for West Ham United in February and Callum Paterson for Cardiff City in October. The constant presence in that group effort was Van Dijk, who was the only member of the back five to start each of the games that made up the run.